Norfolk Libraries aim to be at the heart of our county’s, largely rural, communities. Our community involvement work to engage local people was boosted further when Norfolk County Council launched a countywide campaign in Autumn 2016, which we quickly got on board with. In Good Company is an initiative aiming to drive out loneliness from the county. It promotes positive ways that people can connect with others in their community; and highlights that loneliness can have an impact on individuals’ mental and physical health as well as other effects. As part of In Good Company, we launched ‘The Libraries Loneliness Project’ in November 2016. Its aim was to deliver a consistent countywide offer - so that any lonely person could be signposted to any library knowing that there would be quality and effective support available. We set out to increase the number of events and activities offered at our venues, to engage as many people as possible in their community and reduce social isolation. With 4 million annual visits, a trusted presence in 47 communities with a fixed library, plus reaching further isolated communities with our mobile library service, we were key in gaining community involvement in individual activities and the wider campaign. As a service we felt that we had a responsibility to help tackle loneliness and support In Good Company. a warm and welcoming atmosphere, where staff actively listen and notice people. a timetable of regular activities including board games, local history, and arts and crafts which are appealing to men and women and people with different interests. volunteers (who were local residents) to help run these activities so that they could be offered in all branches, even those with just single staffing. We particularly focused on increasing the number of activities hosted by libraries for older people. 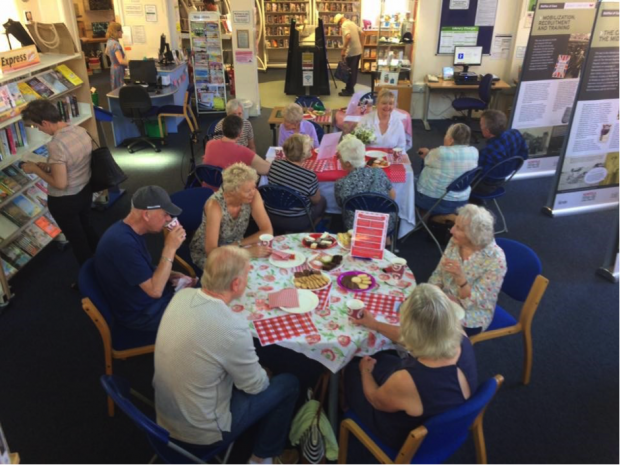 In under a year, Norfolk library staff have more than doubled the number of weekly activities in libraries which older people can take part in, from 57 to 136. One of the key activities that was introduced was ‘Just A Cuppa’. People are invited to come along to the library each week for a cup of tea and conversation. This now takes place in 34 out of 47 libraries. These sessions provide company and the possibility of friendship. They are a low key way to join a group and are ideal for people who are out of the habit of socialising. Some libraries include an option of jigsaws, puzzle books and newspapers at the session to help aid conversation. The groups consist of men and women of all ages. Some people attending these groups live in outlying villages and generally struggle to find opportunities to socialise. The group sessions also enable staff to identify signs of loneliness and offer further support. 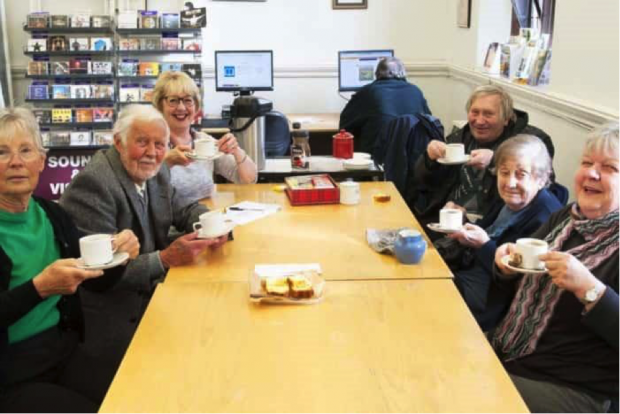 Each library was set a target of increasing its regular activities including a ‘Just A Cuppa’ session, with the aim that nobody in the community should feel alone if they did not want to be. Reducing isolation and providing advice enables people to seek support and use the help available to them across all services at Norfolk County Council and beyond - a role libraries are ideally placed to play in this context, based on their connections in local communities. The chance to meet with others is beneficial to an individual’s mental health and wellbeing - which feeds directly into our council priorities of supporting vulnerable people, and as part of our health and wellbeing strategy to make Norfolk a healthy and happy place to live. Encouraging social interaction improves mental health, reduces isolation and supports vulnerable people within the community. There is also evidence that scam victims are often lonely and isolated and are targeted because of this. Our Trading Standards team work with libraries staff to cascade information to these vulnerable people via our events. The strongest evidence that these sessions have an impact comes from the immediate reactions of people joining the groups. To keep up to date with activities in Norfolk libraries, follow them on twitter or find them on Facebook.